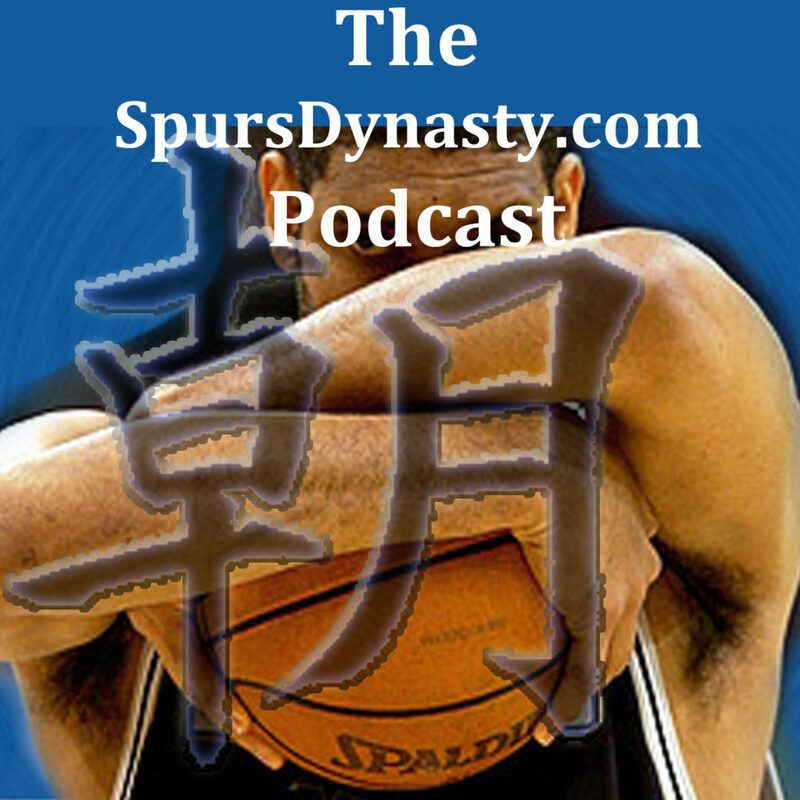 Editor’s Note: We’d like to welcome Patricia Tirona to the Spurs Dynasty family. This post will be the first in a series about how and why certain players thrive in the San Antonio Spurs organization. We hope you like it. Our genetic makeup is just one part of the blueprint of our destiny. It’s incumbent upon us to nurture success through consistent physical and mental work, but more importantly seek out the most advantageous relationships to assist us in realizing our full potential. Bryn Forbes is a young man on fire and has accomplished a feat I rank slightly above scaling Mt. Everest in its impressiveness and rarity. Forbes has, on several occasions, been the recipient of glowing praise from Gregg Popovich. He’s just getting better all the time. He’s getting more comfortable and starting to feel like he belongs and that’s really important with a young player. Tony Parker’s long absence due to injury sustained during last season’s playoffs resulted in Forbes playing time more than doubling this season. Bryn responded by becoming a big shot taker/maker and confident 3-point marksman. It was revealed, after the December 9th game in Phoenix, that Pop drew up the game-winning 3-point play for Bryn. Didn’t Kawhi have to wait deep into his third season for Pop to finally draw up a play for him? I might be exaggerating for effect, but it speaks to Forbes’ work ethic and acumen that he was entrusted with the keys to the castle so soon, if even for just one night. Whenever I see a photo of Bryn, whether it’s with elder statesmen like LaMarcus Aldridge or Pau Gasol, smiling during practice, or bonding with teammates during a game, my heart warms like I’m watching some live baby panda feed. Bryn is an appreciative young man surrounded by protective older brothers who have his back. He in turn has theirs. Mistakes like the one made by Forbes during the Spurs recent win over the Clippers are teaching moments. Bryn pulled down a rebound, led a fast break, and was called for a charge while trying to set up Brandon Paul for a corner three. Tony was wide open and would have been the preferable target for the assist. 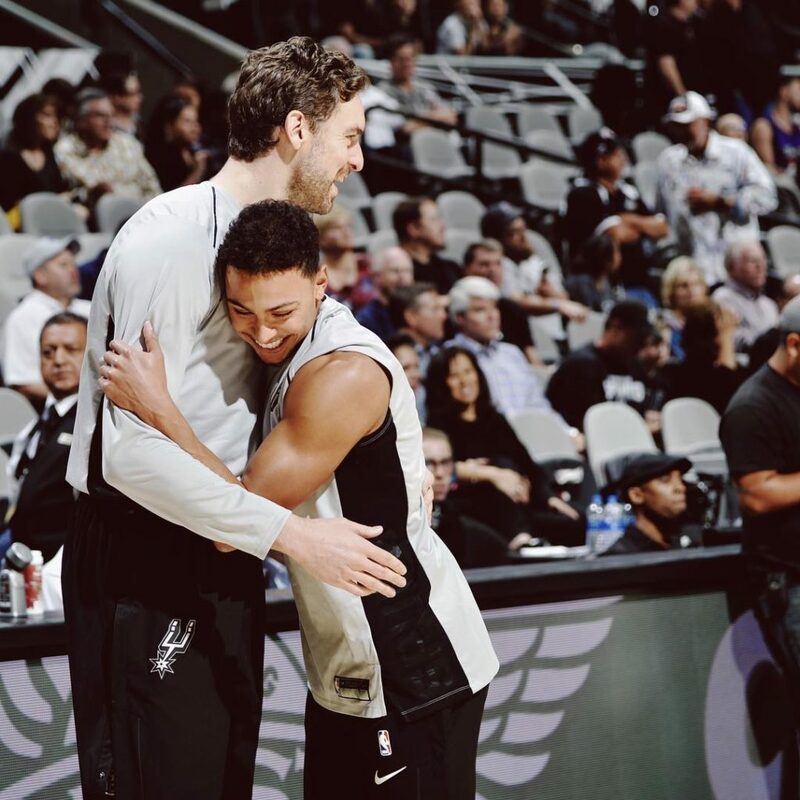 Parker conferenced with Forbes as the seasoned mentor paying it forward who remembers when Timmy pulled him aside and constructively took him to task. Rudy Gay, new to the team, but already familiar with the Silver and Black code, gave him the “chin-up baby bro” encouragement. Unlike some other players in the league, the Spurs do not have skid marks on the back of their jerseys from repeated hurlings under the bus. In the months since Lonzo Ball made his NBA debut I haven’t figured out just what that expression on his face is and continues to be during most of his games. It doesn’t seem to be a look of anger or resentment towards his omnipresent father. It doesn’t appear to be a look of stress about not living up to pre- or post-draft expectations set up by a PR machine on steroids. Maybe it is the look of a young man frustrated by endless criticism and disappointing results, in spite of what he may feel his own Herculean efforts? No, not quite that. There is no doubt Lonzo is talented, eager, and mentally wired to play the game. So why doesn’t he look happier? Spend enough time at a bar during peak hours and anyone can be an amateur anthropologist. Avoidance of eyes, retreating body language, and intermittent conversation often indicates an awkward in-real-life date after two people had only met online, i.e. Dwight Howard on every new team he swipes right on. Seeing couples on their phones, making occasional, but familiar chatter, makes me think they’ve been together a while and are fine with status quo, little passion but whatever, it’s good enough and easy – Chris Paul and DeAndre Jordan on the Clippers last season, pre-Paul exodus. Then there’s the lucky guy with the woman all the other men at the bar are staring at. She’s beautiful, confident, vivacious, calling attention to her and her man, taking selfies, and seemingly out of thin air summons her high-heeled entourage of clones. Every so often I see a man in this situation who, rather than basking in the narcissistic glow, wears a look of panic or boredom. Sharing the ball, i.e. making assists, is where Ball’s generosity would appear to end. In a mid November game against the Suns, he passively walked away from a scuffle his teammates became embroiled in. Imagine a Spurs player doing that, or anyone on any team? Those are not the actions of a man bonded to his teammates. It makes me wonder if Papa Ball insists he eat lunch at a separate table away from the other guys. Now LaVar thinks it would be a fantastic idea to set up a league for aspiring, nationally ranked high school graduates who don’t want to go to college. The deepest shudder from the depths of my soul emanate at the thought of LaVar Ball influencing an impressionable legion of youth. I’d sooner entrust Darth Vader at peak evil to train an incoming class of Jedi toddlers. 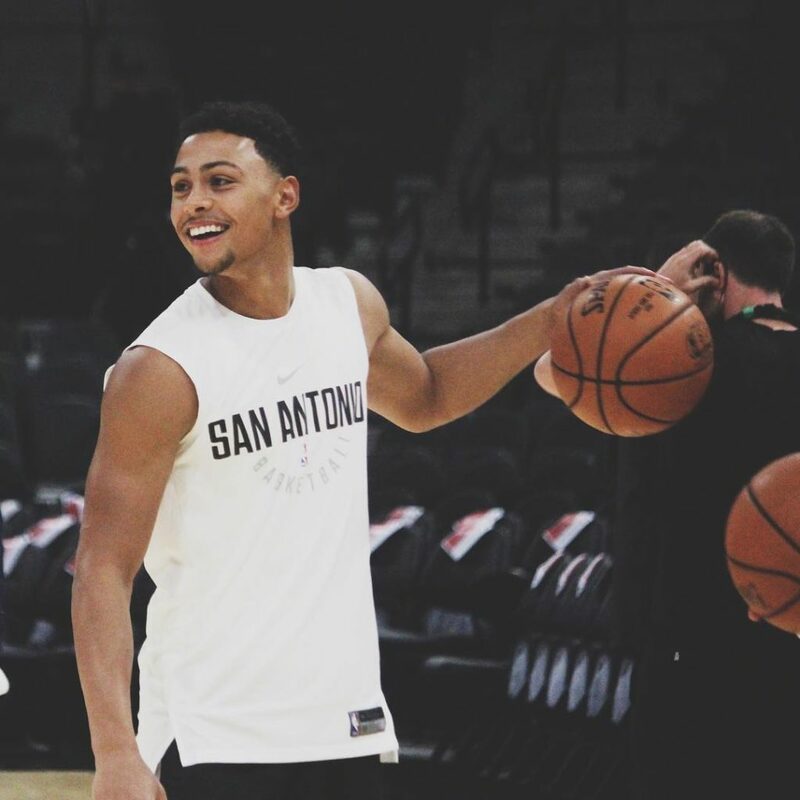 Like Tim Duncan, Tony Parker, Manu Ginobili, and Kawhi Leonard, who ascended the Spurs ranks before him, Bryn Forbes is being systematically groomed to potentially inherit one of the rare keys to the castle, away from the voracious media spotlight, in the confines of a protective Spurs academy. Pressure will be left where it belongs – on the court. For further proof of the potency of the Spurs nurturing environment, one need only look at how beautifully Gay, Gasol, and post-reckoning Aldridge have fared as mature recruits. 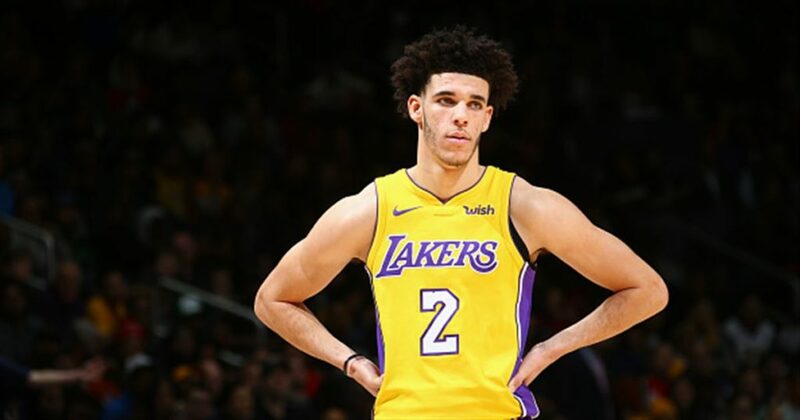 As he grows into his role, Bryn may one day feel the pressure Lonzo feels now, but will be prepared when that time comes. Being in a relationship with the Spurs is hard work, demanding, but comes with all the benefits of open communication, endless support, and the understanding that while strict, it gives its players the freedom to evolve into their best possible versions. Twenty consecutive playoff runs and counting sounds like the sort of marriage every NBA player wishes he was in. The San Antonio Spurs beat the Chicago Bulls in an NBA basketball game on Saturday night. The score was 133 points in favor of the Spurs, compared to 94 points for the Bulls. Analysis? The Bulls are not good. The Bulls are downright terrible. There really isn’t much to take away from this game. We saw a lot of bench work tonight from the Spurs in route to a 39 point win. The game was pretty much over before it began and that’s even with Kawhi Leonard, Tony Parker, Manu Ginobili, and Danny Green out. It was an annihilation. Bold Prediction: Rudy Gay for 6th Man of the Year. Rudy came in and shut things down and the Spurs never really looked back. Can you blame them, though? The Spurs are really, really good and the Bulls are really, really bad. Of the 11 players who played for the Spurs, eight of them were in double figures. The Bulls? Three: Robin Lopez, Bobby “Break Yo Face” Portis and Chris Dunn, the only bright spot for the franchise. The Spurs led in every category this game except one (steals), shot 66% from the three-point line and out-rebounded the Bulls 44-28. Did I mention the Spurs were without Leonard, Parker, Manu and Green? And Joffrey? And Derrick White? So what do we take away from this game? Not much. We got some meaningful minutes from some core bench guys and put some use to those two-way contracts. But the biggest take away is learning a little bit more about this team is. Also, I got really deep into #HorseFactFridays due to how boring the game was. It’s early, so I want to tread lightly here. With full disclosure, I am aware that Kawhi Leonard’s quad injury is a bit more serious that maybe we all thought. I am aware that Tony Parker may never be Tony Parker again, although, he might be. And I am aware that Tim Duncan is not walking through that door. Boris Diaw is not walking through that door. Tiago Splitter is not walking through that door (thankfully). But the Spurs are starting to look like the Spurs of 2014. Let me explain. The ball movement is there. The grit is there. And the defense is there. The talent is not. There are flashes of the beautiful game that we all will tell our grandkids about in 30 years. It may not be perfected yet, and it may not last, but even against the Bucks and Clippers, you can see the extra pass being made. I identified last week that the guys were making too many passes. And I know it’s the Bulls, but last night, they made the right pass. Kawhi and Tony’s absence could end up being a real blessing in disguise. The flow of the game has been very “benchy” during the first 13 games of the season. If you recall, the Spurs always play a deeper bench than most teams come April. Sometimes, that’s a bad thing. This year, I think it’s going to be a huge boost. If you’re not on the Rudy Gay bandwagon, I suggest you buy a ticket. Rudy might be the most versatile player not named after a Hawaiian Island to ever take the Black and is a threat to score every time he touches the ball. He’s smart, smooth, athletic and very crafty. I just hope he gets the minutes and stats to warrant that 6MOY trophy. I am making two trips to Texas over the next 90 days and I fully intended on getting myself a Rudy Gay jersey while I am there. For those who know me, that’s a big deal. I don’t buy Spurs jerseys unless I feel like you’re a Spur. To put that in perspective, I haven’t even gotten a LaMarcus Aldridge jersey yet. Rudy is a Spur and he’s a darn good one. Speaking of LaMarcus, it’s time to buy his jersey. LaMarcus is for real, too. He finished with only 14 points in this one, but also played only 21 minutes. He went 7 for 11 from the field and had seven rebounds and two blocks. I firmly believe that teams have turned a blind eye to him this year because of the events of last year. Shame on them. Aldridge has been a monster this year and already deserves to be an All-Star. If he stays in this killer instinct mode when Kawhi comes back, I’m telling you: the Spurs will be a tough out (also, I covet a Sweet Honey Dejounte-Green-Kawhi-Rudy-LaMarcus lineup, so get well soon, Klaw). Gasol has been underdiscussed but has quietly looked very Spursian this year too. He does his work, stretches the floor, finishes with either hand, has been an offensive threat as of late, and although he could probably be a nominee for an Oscar, his assertiveness against the Bulls led him to a beautiful 21 and 10 game. Pau will win a playoff game for the Spurs this year. Watch. I don’t like Kyle Anderson. It’s no secret. Something about his game bothers me. Makes me uncomfortable to watch. Kyle always looks like he just got done mowing the yard and is really, really tired. Then he scores on you. I’m going to leave Kyle alone and stop being a hater, because whatever he is doing is working and he’s in the NBA and I am writing about him while my kids are napping on a Sunday. Bryn Forbes can flat out shoot the ball. He’s the 2017 version of Gary Neal, but better. I’d expect to see a lot of Bryn this year, especially as we get close to March and guys are sitting out with res….injuries. Brandon Paul is our Jonathon Simmons replacement. So far, I like the upgrade, and I loved the Juice. But Brandon is the epitome of a journeyman NBA player. Learn to do two things in the NBA and you will find yourself with a contract: Shoot the 3 and play defense. Brandon ranks 18th in the league in charges drawn. Of the 17 guys ahead of him, only three play less minutes (Willie Reed, Jared Dudley, Okaro White). Of those three guys, Brandon has played in more games, has more 3 point shots made, and more deflected passes. So, yea, I’d say the Spurs found another diamond in the rough. Finally, I think we need to discuss the future, Sweet Honey Dejounte Murray. The kid is a player, but he is also still young. He opened the season with a really good game and had a couple more, but has been sent back to the bench. This is ok, and to be expected. First off, it helps him immensely psychologically. His pressure is reduced and he is free to play looser with the second unit. Secondly, his shuffling in and out of the lineup in various time frames of the game allow him a unique perspective to see the game in real time from multiple viewpoints. Murray is getting valuable experience, within the experience gain from Parker’s absence, that will develop him faster than we might have imagined. The beauty of Pop is how he manages to win these types of battles. In the past, we’ve seen him keep Patty Mills on the bench in his backup PG role and would put the #3 guard in as the starter. We will probably continue to see some of that until Parker’s return, but starting Mills and bringing Murray off the bench allows Pop to develop Murray as both a starting caliber point guard AND as a backup point guard: two very different roles in today’s NBA. It’s genius and I love it. We will thank Pop in 2019. Not all teams will be as tough a challenge as the Chicago Bulls, but it was a pleasant way to end a six-game homestand, on Veterans Day, before heading to Dallas on Tuesday. And I’ll end with this: we would be remiss if we did not thank our veterans. If you have served in the Armed Forces, there are no words that could fully summarize our gratitude for you and your families. From all of us here at Spursdynasty.com, Thank You. After a lethargic–if not entirely disappointing–first half, the Spurs seemed to remember they were playing the Phoenix Suns on the end of a 5-game, 10-day road trip on their home floor. The Spurs raced to a 34-13 3rd quarter and a 55-27 second half before both teams pulled the plug and we entered extended garbage time. Patty Mills continued to show he deserves the starting PG spot by scoring 17 points on 7-of-11 shooting (3-of-5 from 3) and dishing out a team-high 4 assists. He came alive in the 3rd quarter, hitting 3 3s on the same action, a simple high pick-and-roll that the Suns big refused to step up on. He seems to be playing with more confidence and court awareness, and will likely remain the starter until Parker comes back. At which point there is likely to be some PG confusion. Or possibly not at all, as Murray continues to struggle after a strong start to the season. I’m not sure if he’s just crashing back to earth (he is a very young 2nd year player, after all) or if he is struggling with some confidence issues. Either way, he is not playing like a net-positive on the floor. Not struggling with confidence is Danny Green. Danny has long been a barometer for Spurs’ fans, between those who see his true value and those who think he’s a bum, to put it kindly. After the start to this season, there shouldn’t be a fan alive who questions his value. His defense remains top notch, his shooting is the best it’s been in 3 seasons, and he’s suddenly Dwayne Wade off the dribble. So yeah, that’s good. My new favorite end-of-the-bench player is Brandon Paul. I love his game. He’s already a plus-defender (can you imagine a small line-up with him, Green, and Leonard? ), and his shooting and playmaking has been a revelation. He made two passes that Manu might be the only other player on the team who could make. He is for real. 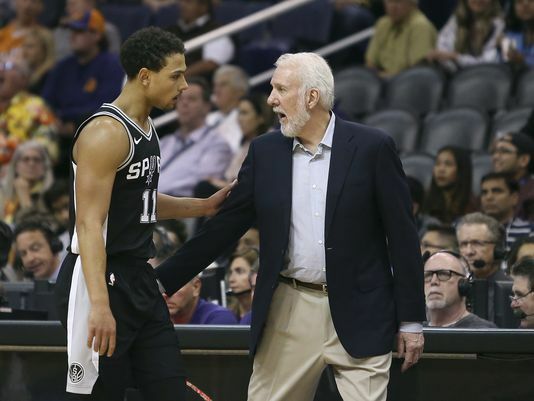 Even though he is a rookie, he is 26, so I’m hoping that Pop continues to give him minutes and show confidence in him. What we’re seeing early in this season is that the Spurs have a really good roster built around a superstar player. They’re just missing that superstar player. So they’re going to win games they should, though it might be tighter than expected; and, on the flip side, they’ll likely lose some games in frustrating fashion. As long as the team can stay in a strong position awaiting Leonard’s return, they can be competitive by the end of the season. Up next, the Clippers comes to town. This is the game on the homestand I’m most interested in. The Clippers have had a hot start to the season, and appear to be just fine after losing Chris Paul. This team has been a thorn in the Spurs side over the last few seasons, and I don’t know how much of that was because of Paul. Either way, this will be a good early-season test for the team. The 2016-17 season was the first in decades that the Spurs had to play without Tim Duncan. The Silver and Black attack exceeded all expectations by putting together perhaps the best rebuilding season by any team in history. 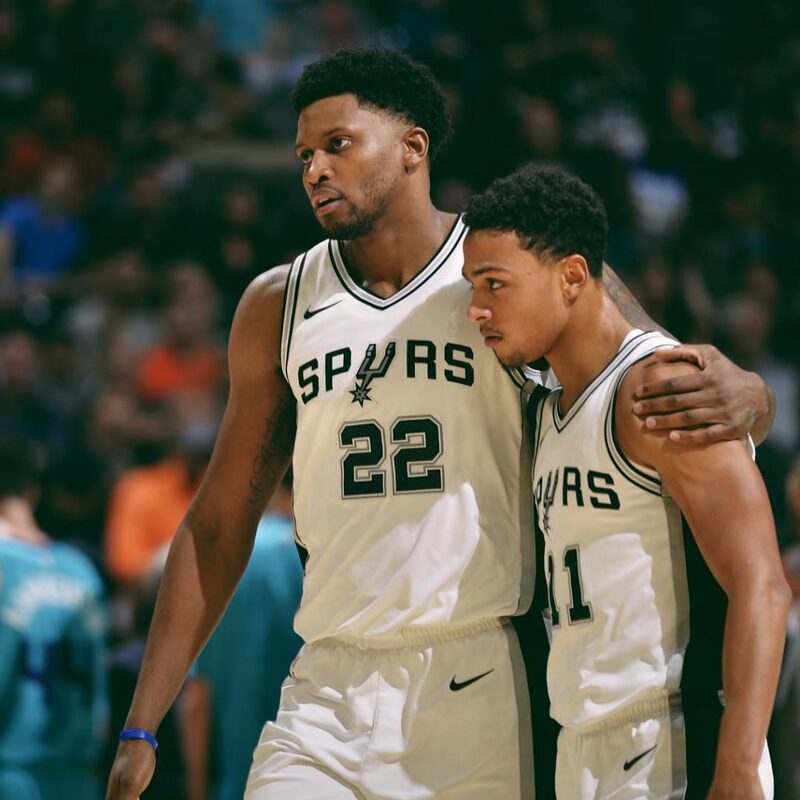 The 2017-18 season will be one of continued rebuilding, laying a foundation for now and the future, one as solid as we spoiled fans of San Antonio can hope for. The post season had our franchise attached to big names and rumors of this generation’s best point guard wanting to join our squad. Chris Paul was serious about wanting to come to San Antonio, despite the realities of his contract needs and the inability of the Spurs to bring him with the team’s cap restrictions. What’s important is that he, Derrick Rose, Dwayne Wade, and many others have now been actively and publicly linked to playing in San Antonio. Longtime fans know that San Antonio was not a destination for elite free agent NBA stars in the past. That’s changed. The significance of this cannot be overlooked. We have many, many, many reasons to be optimistic about this year and beyond. And I believe this may be the deepest roster San Antonio has ever fielded.